Cream chiffon matric dance dress. Let the night belong to you on your matric dance day. 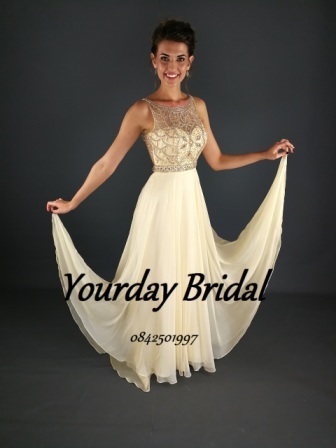 Yourday Bridal can make this dream come true for one matric lady!! contact us on 012 653 0318.